Funding for coaches for band members. When the Adrian School district had a successful bond initiative in 2005, taxpayers voted to construct a new performing arts center and gallery in the high school. At that time, the ASEF began a focus group of teachers, administrators and community members to find the best way the Foundation could be supportive of the district. 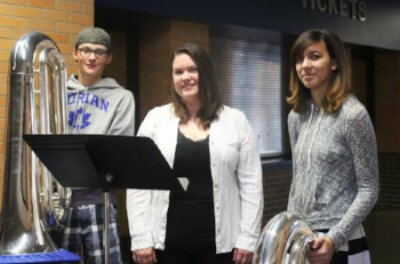 Using the information from the groups, the Foundation board began to acquire funds for an arts endowment so that the arts would remain a focus of the district. The annual interest earnings from the endowment are used to provide K-12 arts experiences for students. There is now more than $1 million in this endowment.